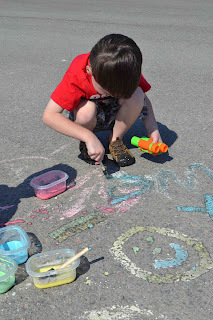 Today's guest post is from a fabulous writing duo - Katie of Mommy with Selective Memory and Susan of Kindergarten & Preschool for Parents & Teachers. This post is a must read for all parents. Why? Haven't we all been there - secretly wanting our kids to be the best, the smartest, etc... How do you get them there? Do you push it? Do you force them even if they aren't ready? When my daughter was a baby, we kept running into people with two year olds. These kids appeared to be utterly brilliant because they already knew the alphabet even though they could barely speak. Their parents told me they had learned through flashcards and this made me think this was a normal thing to do, sort of like how kids need a tummy mat when they are little, then they graduate to toys that encourage crawling and so on. So I bought flashcards and planned to start early with my daughter. I hate to admit it, but I really wanted her to be one of those genius kids, too. My daughter wasn’t remotely interested in flashcards. All she wanted to do was play with her dolls or have me read books to her. As a new mom, I had no idea that reading books and using her imagination were far better uses of her time than sitting idle while I drilled her with flashcards. I’m ashamed to admit that I used to watch her at age two while she played and I literally felt guilty that I wasn’t encouraging her more to spend time learning her letters. I felt like I was failing her as a parent. When I tried to show her the flashcards, I got all animated and would point out the Apple! I would show her the A at the beginning of the word like it was amazing. She would yell, “No!” and run back to her Legos. After a few tries, I secretly hid the cards away. It seemed almost cruel to force her to memorize something that literally meant nothing to her. Now that I am older and wiser, I am sure glad I listened to my instincts. Katie is right. Young children are not nearly as interested in flat surfaces as in hands-on exploration and discovery using their five senses and movement. Children are innately wired to learn through play. It may look like mindless repetitive behavior when a child stacks the same blocks over and over – just to watch them fall. Or wants you to read the same book until you think your hair will fall out, even though you enjoy that sense of bonding you are experiencing. It’s all right. Slow down. Take a deep breath. Your child is not required to be reading before entering kindergarten. Of course, it is wonderful if your child is interested in learning the letters and sounds and wants to read. But they will learn when they are ready. Looking at a picture of an Apple is not nearly as interesting as touching and tasting it. Experiencing and communicating with your child about the apple will increase their vocabulary and brain synapses much more so than looking at a picture and trying to focus on squiggly lines wondering why it is so exciting to mom. Wouldn’t mom rather be outside playing with me? Recent studies have tracked an accelerating decline in kids’ creativity, as indicated in their inability to problem solve. Many experts believe it is due to the decline in play and the increase in parents’ monitoring, directing and managing their children. Instead of playing, children are performing tasks that their parents and schools have designated as necessary for achievement. But creativity is more likely to predict lifetime accomplishment than IQ. Children (and adults) who love what they are learning and how they are learning it, will master skills far exceeding someone who may have a better genetic makeup, but is bored or lacks the motivation to excel – which may be due to lack of interest. Children learn through different modes: There are visual learners, auditory learners and sensory/motor/integration learners. Teaching by using all of the five senses creates enthusiastic learners. If you want your child to learn to read, then let them see you reading a book and share books with them. Children must find a book interesting by textures, sounds, illustrations, or content. Young children enjoy hearing your voice in rhythm and rhyming sounds. Children may want to “read” the book to you. Let them re-tell the book in their own words or from memorization. This is a beginning step to reading. Encourage them to storytell – stretching their minds and expanding their creativity. You’ll have better results when you Promote Early Literacy with ACTION! Never force a child to learn something they are not ready to learn, or make them feel bad for not learning something that you think is important. Now is the time for them to enjoy childhood, build self-confidence, and strengthen muscles while fostering their natural curiosity and innate love of learning. as they learn in their own way. 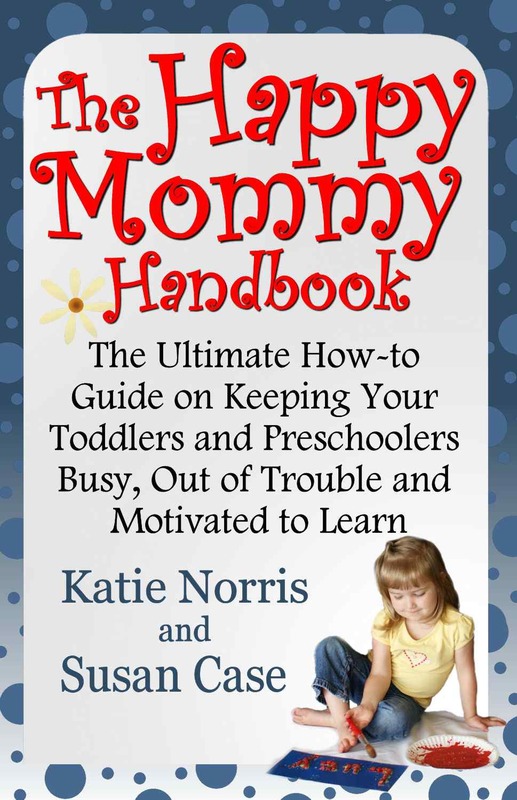 Katie and Susan have just released their book: The Happy Mommy Handbook: The Ultimate How-to Guide on Keeping Your Toddlers and Preschoolers Busy, Out of Trouble and Motivated to Learn. You can find out more about it by visiting Katie's blog: Mommy with Selective Memory and Susan's blog Kindergarten & Preschool for Parents & Teachers. Gina - Sure thing. Maybe we can share some more posts. I"m always looking for photos. Do you have one of your kids recycling - or making something from recycled materials? Need one for the MeMeTales Readathon. Green Earth is the next theme. Thanks! Great post! 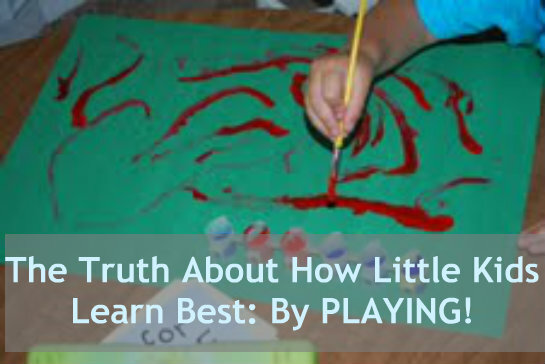 I am a firm believer in the power of play, but sometimes I need a reminder. My kids don't have electronic learning games (by my choice). When I see other kids playing on iTouch or Leap Pads, I sometimes get high strung and worry about my kids falling behind. I just need a reminder about how important play is!